Jillian belongs to an exclusive childhood group called the Friday Five. 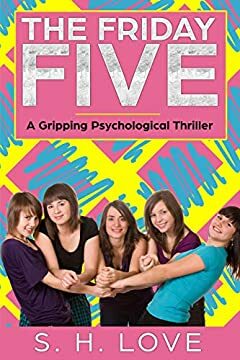 Made up of herself and four of her eighth grade friends, the girls of Friday Five spend most of their weekends at Caseyâ€™s house, whose single mother works two jobs in order to keep ahead of bills. This leaves the girls unsupervised as they sing along to MTV, experiment with alcohol, and run amok around the city. Casey, the unofficial leader, challenges the girlsâ€™ Catholic school upbringing by introducing swear words, stealing from convenience stores, and engaging in inappropriate relationships with boys. As the friends learn and grow together, Emily, the newest addition to the group, dies of a suspicious accident. Fans of Stephen Kingâ€™s â€œThe Bodyâ€ will love this gripping psychological thriller of a close friendship gone awry.